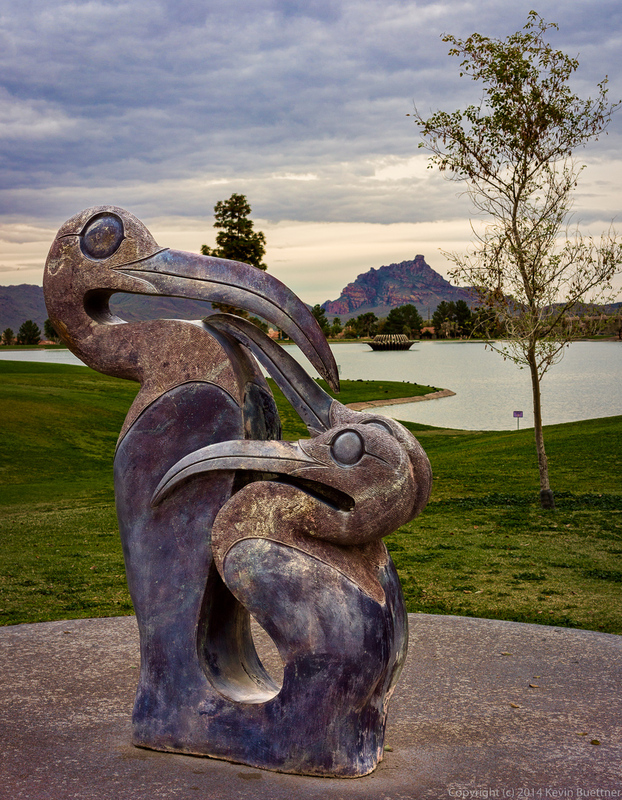 The bird sculpture in the Fountain Lake is named Big Blue. 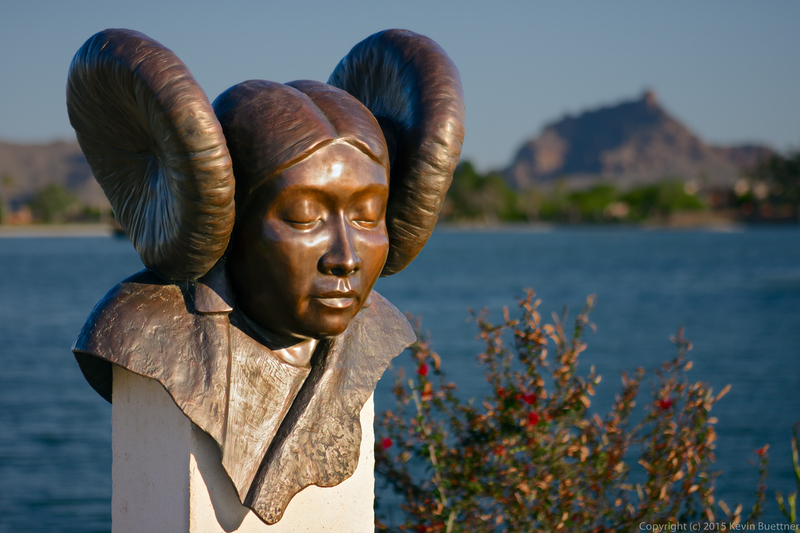 It was created by sculptor Don Kenworthy and was donated by Mayor Jerry & Jackie Miles and Councilman Dennis & Judy Brown. 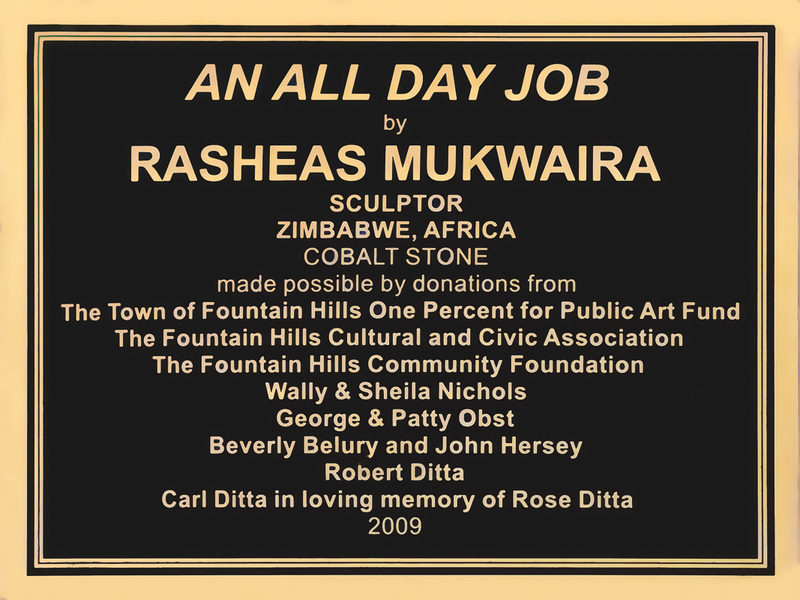 Sculptor Rasheas Mukwaira from Zimbabwe created this work, titled An All Day Job. It was donated in 2009. 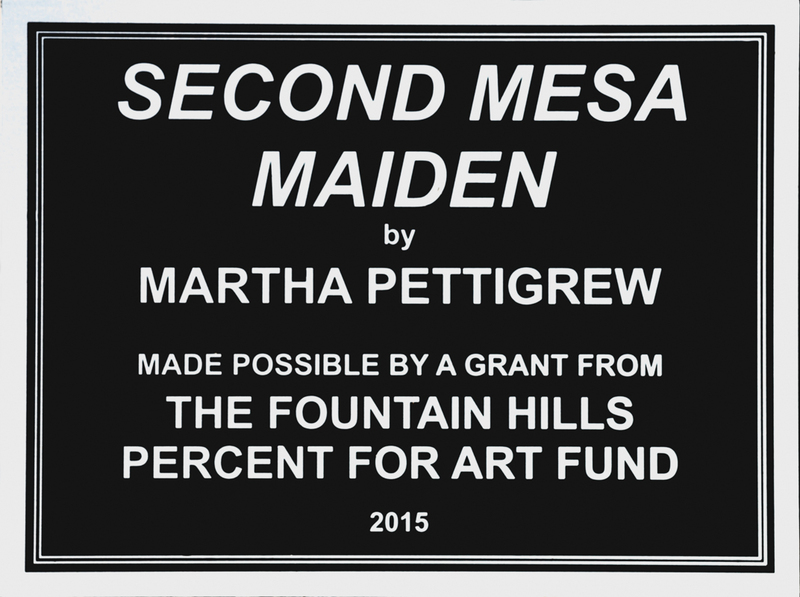 See photo of plaque for list of donors. 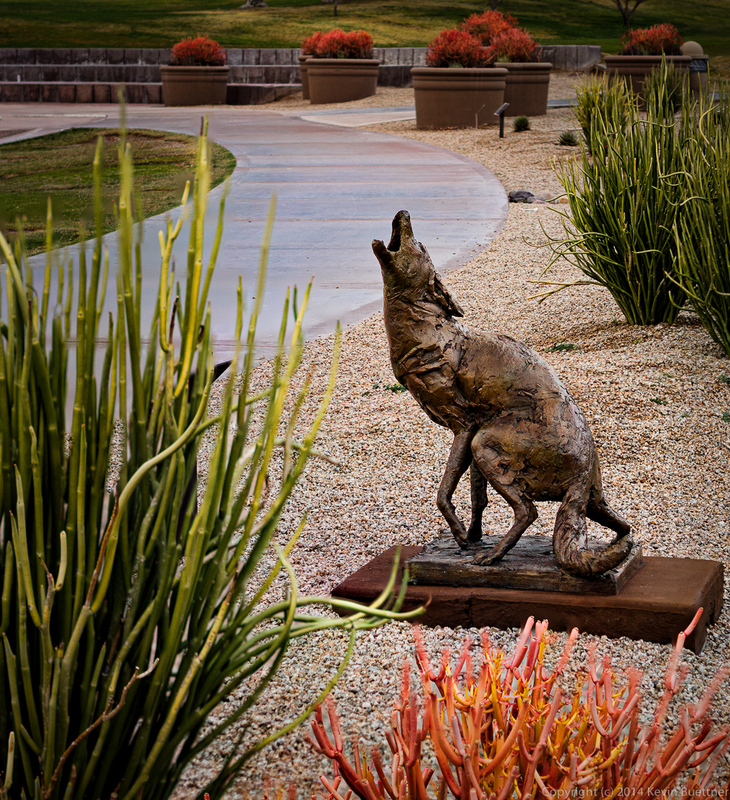 Sculptor Deon Duncan created this sculpture, titled Coyote and Key. 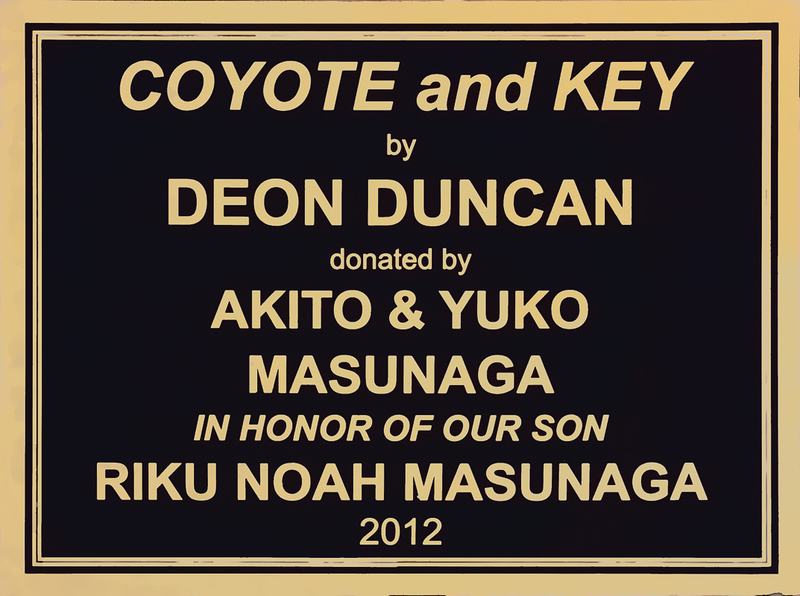 It was donated in 2012 by Akito and Yuko Masunaga in honor of their son Riku Noah Masunaga. 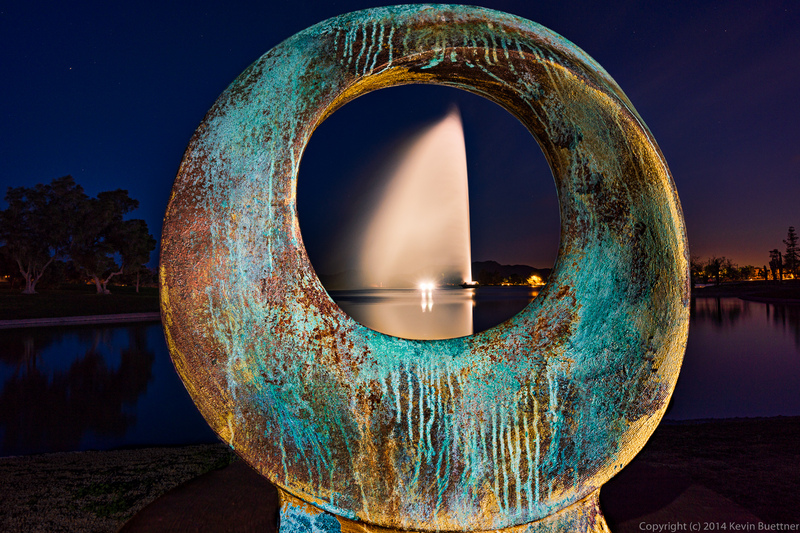 This sculpture is Infinity Ring by Charles Sherman. 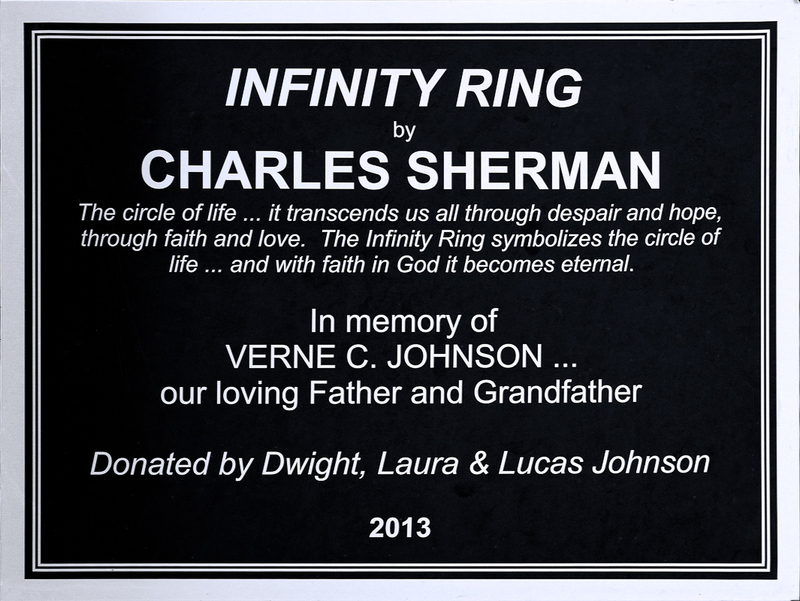 It was donated in 2013 by Dwight, Laura, and Lucas Johnson in memory of father and grandfather, Verne C. Johnson. 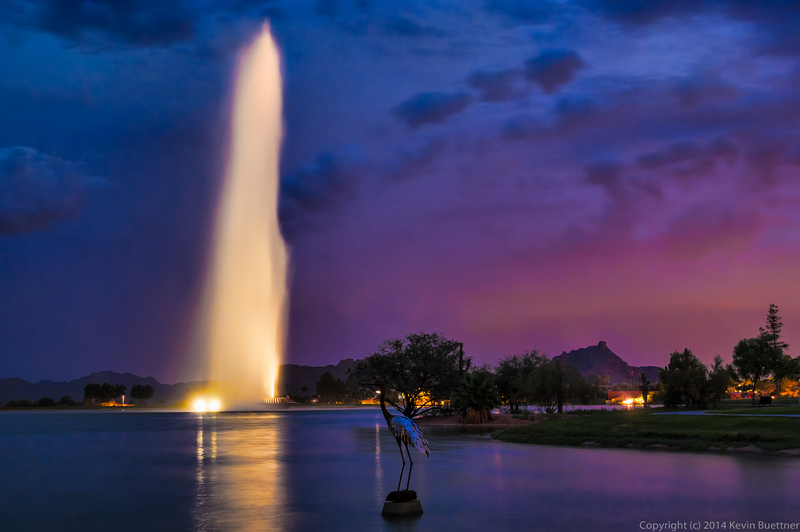 I returned the following evening and reshot the scene using a 10-18mm lens. 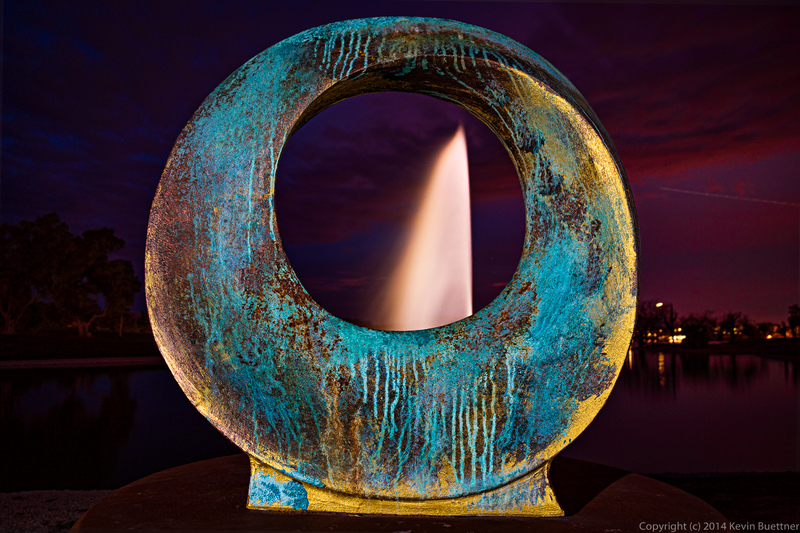 It turned out that I used the same focal length as the previous night, 16mm, the difference being that there was more wind on the night of the second photo; the Fountain did not shoot as high allowing me to get it all in without having to go to a shorter focal length. 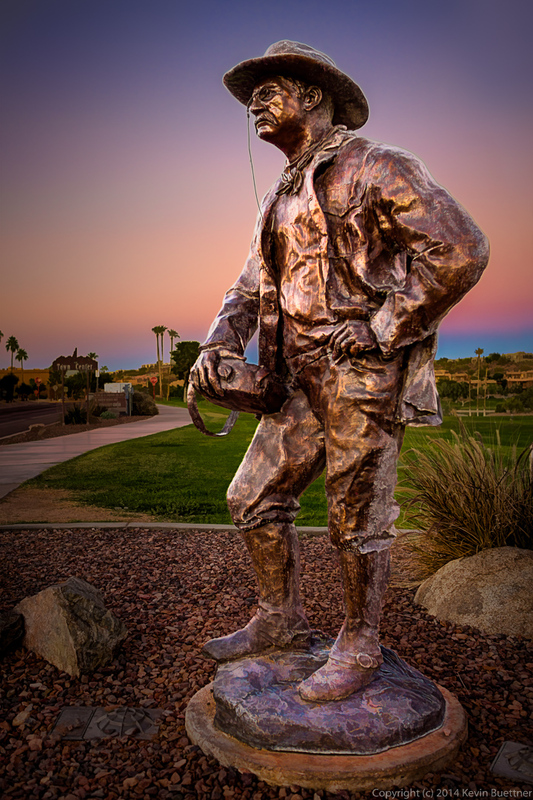 Artist Dan Snarr created this sculpture depicting Theodore Roosevelt, the twenty-sixth president of the United States. 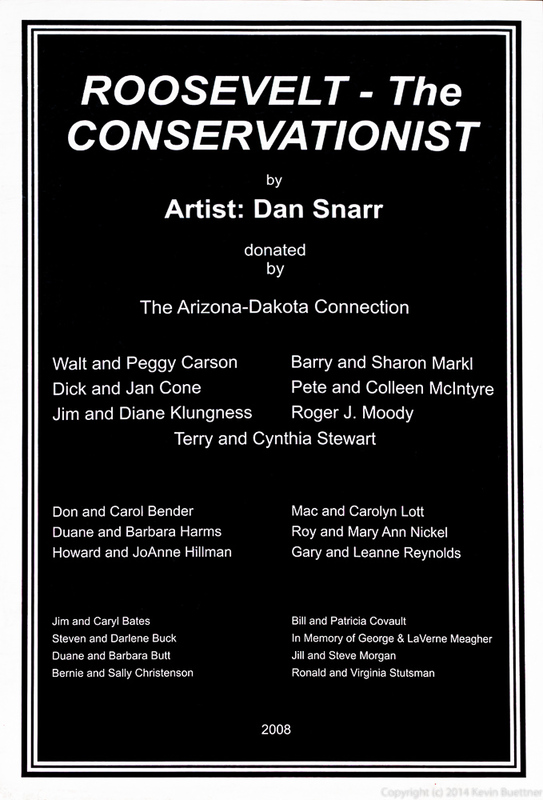 Titled Roosevelt – The Conservationist, this sculpture was donated in 2008 by The Arizona-Dakota Connection and many others; see additional photo below for the complete list of donors. 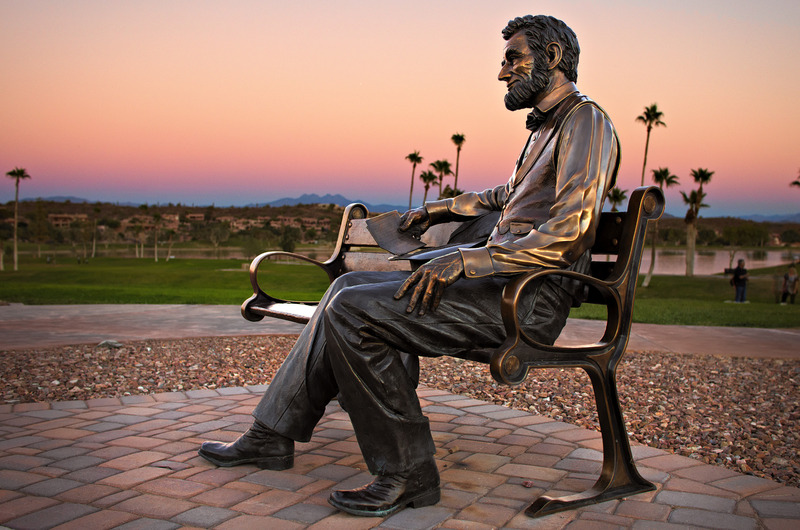 This sculpture of Lincoln was created by Mark Lundeen. 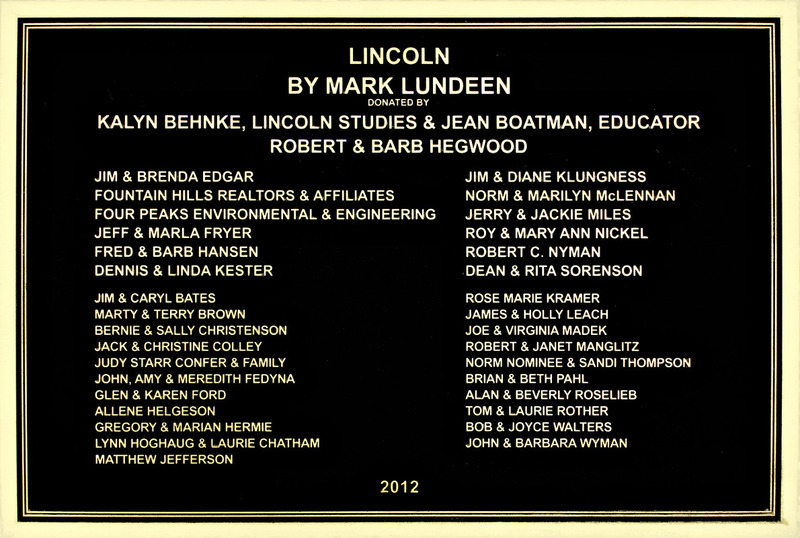 It was donated in 2012; see photo of plaque below for a complete donor list. 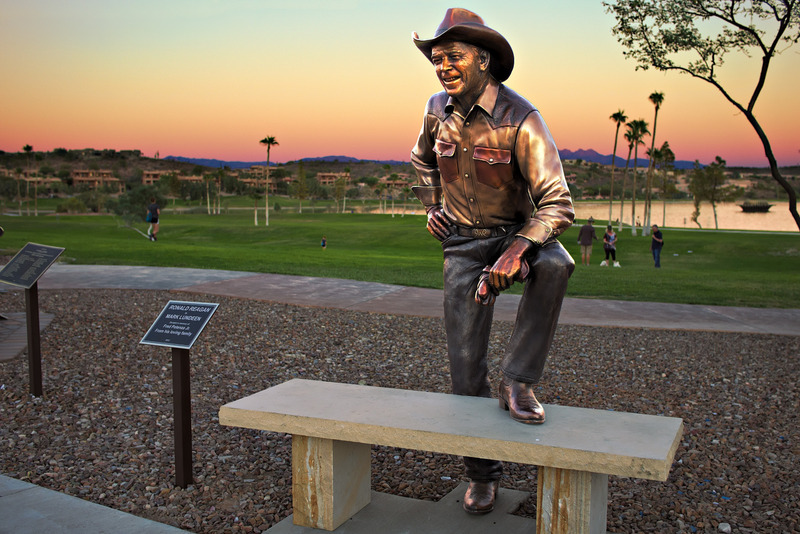 Sculptor Mark Lundeen created this likeness of Ronald Reagan. 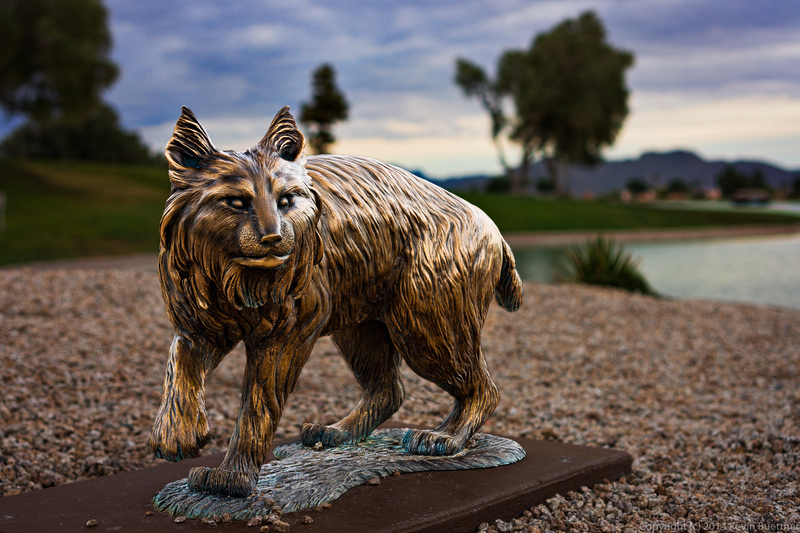 It was donated in 2013 in the memory of Fred Potenza Jr. by his family. 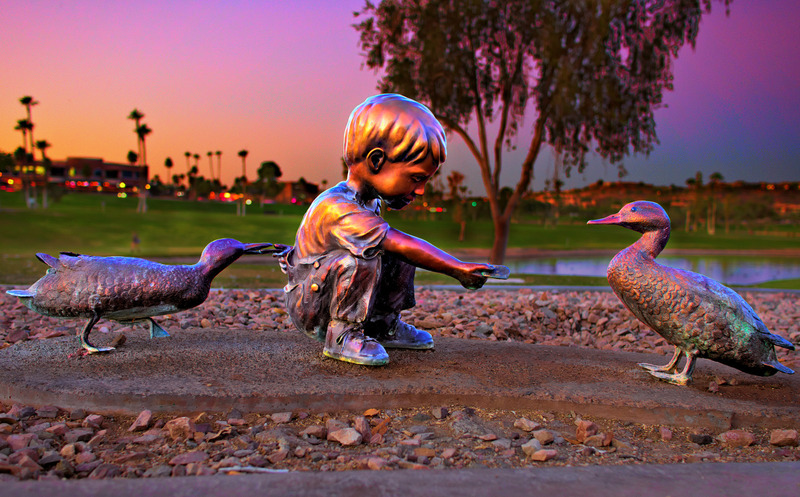 This sculpture, created by Mike Dwyer, is called Quackers. 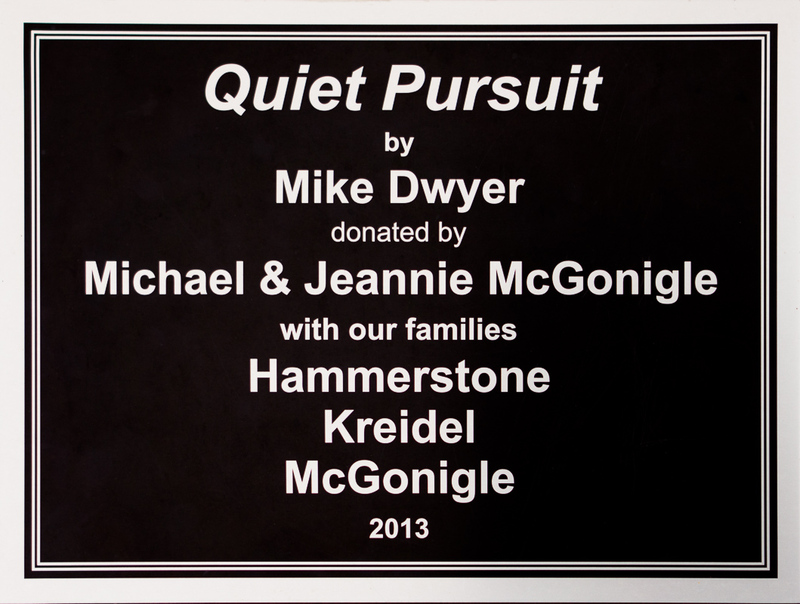 It was donated in 2009 by Michael and Jeannie McGonigle with their families, Hammerstone, Kreidel, and McGonigle.